Milwaukee, WI - Apr 10, 2010 Photos taken at Start, Aid Station near turnaround point and Finish. Looking north at downtown Milwaukee. 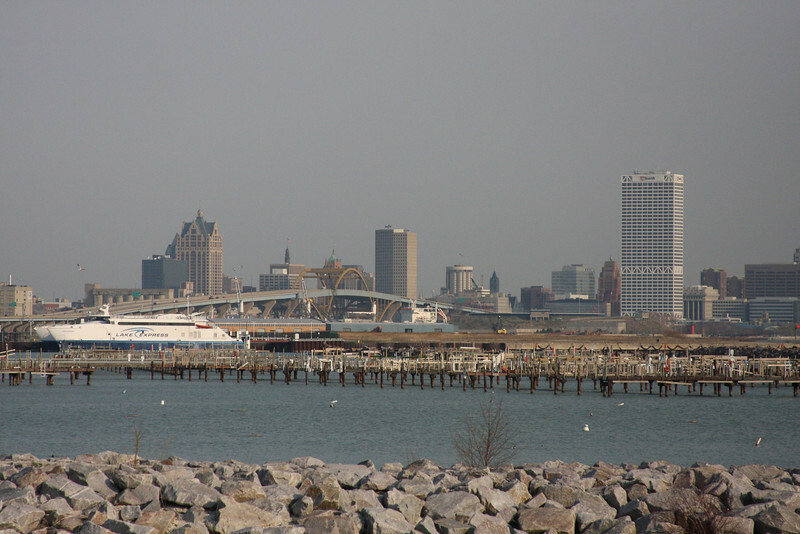 The Lake Michigan people and car ferry can be seen in the left of the picture as well as the Hoan Bridge and the US Bank building.